In Italy, “La dolce vita,” which literally translates to “the sweet life,” celebrates the Italians’ flair for passion, romance and life’s luxuries – from savoring sumptuous meals with family, spending moments with friends and loved ones, to listening to passionate music and donning the latest fashion pieces. Swiss Miss, the world-famous chocolate powder drink, draws inspiration from this luxurious Italian lifestyle as it introduces its newest flavor that evokes the romance and passion of Italy — Swiss Miss Chocolate Hazelnut. Made from premium, imported cocoa and real milk, Swiss Miss Chocolate Hazelnut fuses the aroma and flavor of roasted, buttery hazelnuts with silky, creamy, and frothy chocolate. It’s truly a feast for the senses! “We’re proud that the Philippines is the first country in the world to try this new flavor. 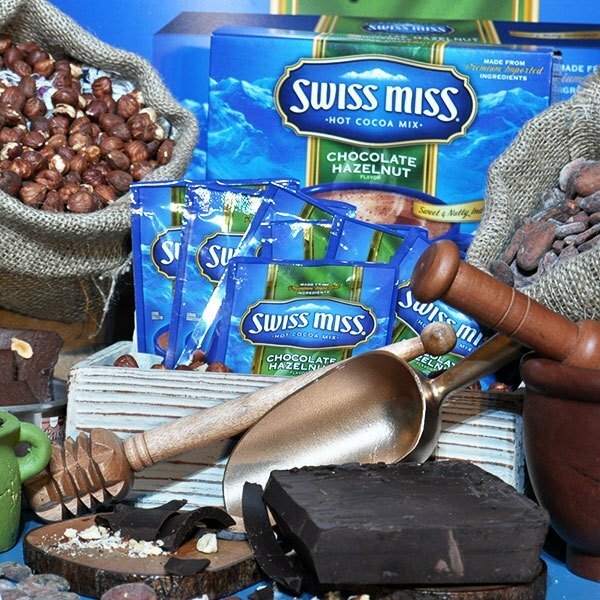 The new Swiss Miss Chocolate Hazelnut flavor is truly a very exciting flavor because of the hazelnut’s unique taste and aroma,” said Cathy Castro, Swiss Miss Asia marketing manager. An affordable indulgence with the right balance of creaminess and sweetness, the new Swiss Miss Chocolate Hazelnut can be consumed hot or cold, at home or even on-the-go. Every sip will remind you of the beauty of Italy, its people, and culture. This article is sponsored by Swiss Miss.